You need to know and understand all the above parameters before you opt for a static UPS, especially for IT services. If you are unaware, or not able to determine these factors, I recommend that you take the help of a professional, as they are vital for choosing the best UPS that suits your purpose. 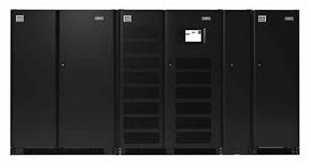 Now, let me explain the critical parameters that play a vital role in choosing the best UPS which can be determined by your electrical staff or hired professionals. This is the most important factor that should be taken into consideration while opting for a static UPS. All loads, and specifically IT equipment loads, are governed by switching gears and are by large influenced by the electric supply phases and waveforms. It is a well known fact that switching power supplies only recognize electric supplies that are close to the peak voltages. The typical wave forms having peak voltages are in no way closely to the standard sinusoidal waveforms. 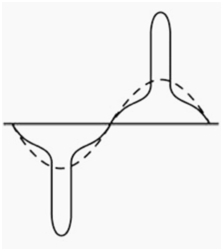 These typical wave forms have base lines that are heavily reduced, and as far a peak voltages are concerned, they are represented by a vertex. Note: It should be noted that these typical wave forms are pretty much peculiar. They have crest factors that are comparatively much higher when compared to sinusoidal wave forms. Hence, my strong recommendation is, that you choose a static UPS that is capable of supplying this peak value current (otherwise known as ‘crest factor’) or is having a crest factor that is close to the peak value. Your electrical engineer will be able to determine this for you. Once you understand the crest factor needed for the UPS in your data center, you can make a decision accordingly. 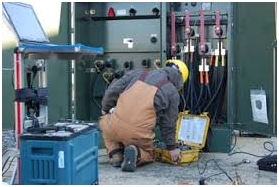 As far as the current phase is concerned, IT equipment always has a leading power factor. Hence, this parameter also plays an important role while choosing a static UPS. 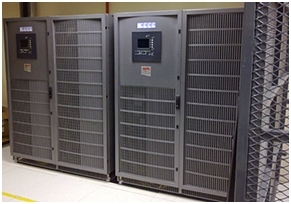 The latest computers running in a data centers, more often than not, have a leading power factor of 0.9 or more. So, I recommend you to choose a UPS that has a minimum power factor of 0.9 leading. This is yet another important parameter required to size your static UPS. The amount of time, for which the data center can continue to operate, in case of blackout or any unforeseen power problems, or conduct a scheduled shut down, is known as the autonomy of the static UPS system. This time period typically spans between 30 to 60 minutes. Note: If the problem persists for more than 90 minutes, care should be taken that the static UPS is backed by rotary generators, as a precautionary measure. The above mentioned parameters are of critical importance in understanding ‘how to size a static UPS?’ for any data center, especially, the ones with sensitive information. Having an accurately sized static UPS, along with back-up generators, can always serve your data center well, and help you prevent loss of critical data, which can cause irreversible damages. What do you think of Eric’s advices? Have you experienced the same? or copy this trackback: http://engineering.electrical-equipment.org/others/deciding-on-a-static-ups-for-your-data-center-an-experts-advice.html/trackback from your own site.